Who likes to do measurement conversions? Not me. 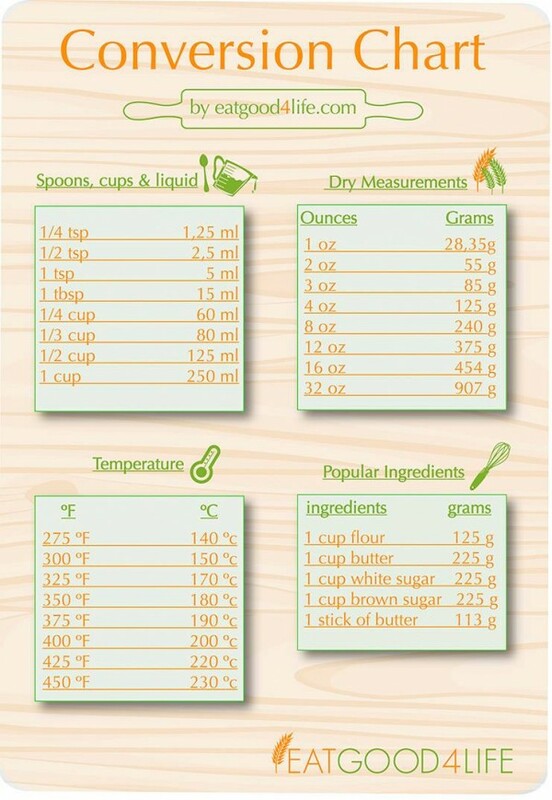 Lately, a lot of you mentioned that you use the metric system since you are in Europe, Australia, Canada etc…So here it is, this chart may help you figure out measurements between cups, ounces, milliliters and grams.